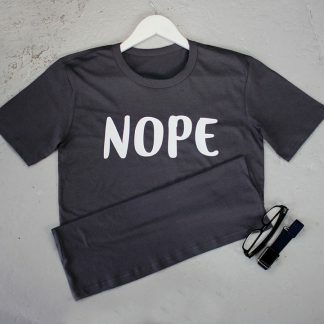 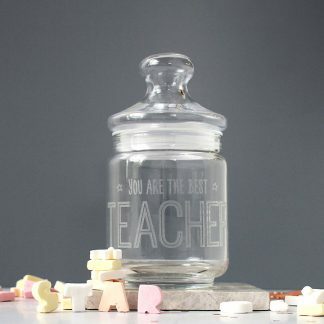 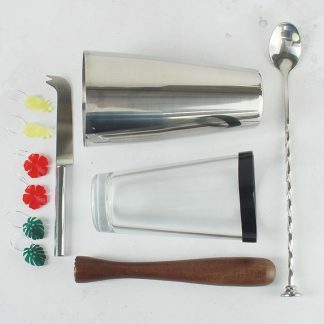 Great gift idea for the person who has everything but enjoys a cocktail or two! 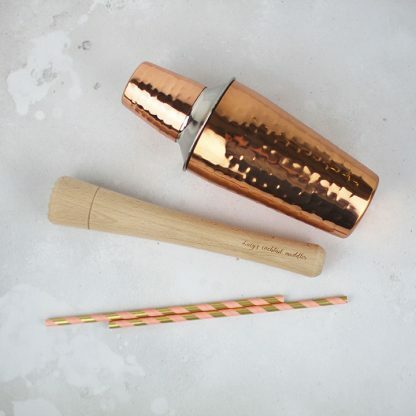 Muddle those mint leaves for your mojito or mint julep in style with this gorgeous set. 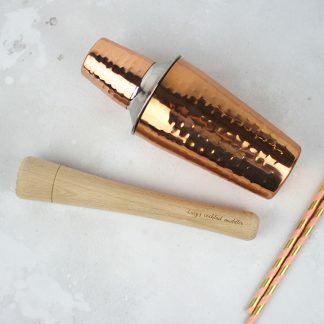 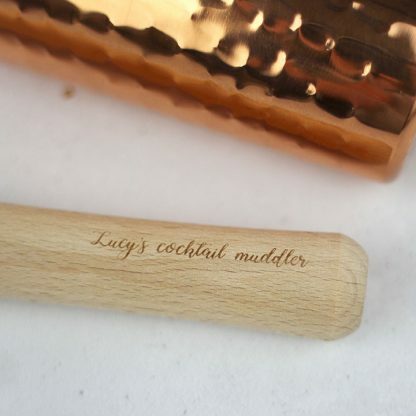 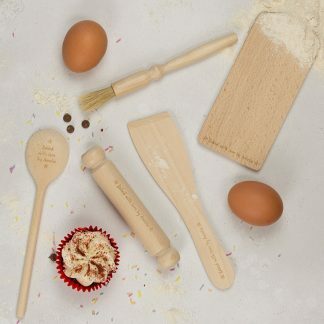 Included is a wooden muddler for muddling , and a stainless steel cocktail shaker with an on trend hammered copper finish. 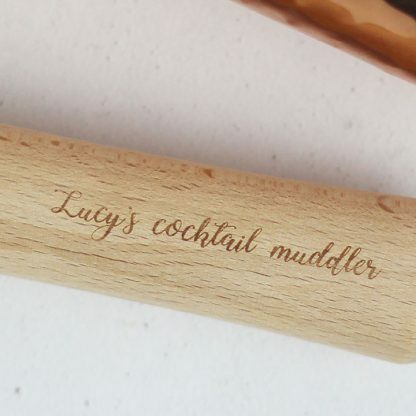 We can personalise the muddler with any text you like (up to a maximum of 35 characters including spaces and punctuation).